Passed peacefully away at the Health Sciences Centre, St. John’s, NL, on Wednesday, January 10th, 2018, ANNIE JANE PARKER, formerly of Bay L’argent in her 92nd year. 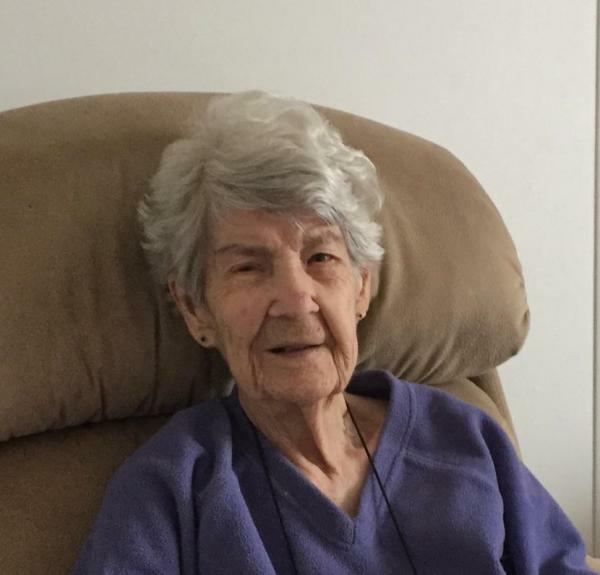 Leaving to mourn with fond and loving memories are her sister Lila Grandy, St. John’s, sisters in law Alma Grandy, Bay L’argent, Betty Grandy, Halifax, NS, brother in law Mederic Comeau, Halifax, NS; plus a large number of nieces, nephews, relatives and friends. Annie is predeceased by her husband Robert W. Parker, parents Reginald and Emma Grandy, brothers Harold, Earl and Reginald, sisters Olive, Rita and Janet, sister in law Sheila, and her loving niece Lynette Dupuis. Mr. Roy Hillier conducted the Funeral Service at St. Hilda’s Anglican Church, Bay L’argent, on Saturday, January 13th, 2018 at 2:00 pm. Interment was at the Anglican Church Cemetery in Bay L’argent, NL. Donations in Annie’s memory may be made to the St. Hilda’s Anglican Church, Bay L’argent, NL. Pall bearers were Reg Grandy, Scott Lambert, Michael Lambert, Matthew Scott, Earl Banfield, and Sheila Wells.